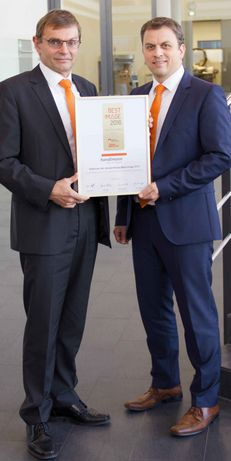 Handtmann was recently honored with top marks as an “excellent modern and innovative” company with equipment that is “reliable, durable, energy efficient and cost effective” in a rating of decision makers in small-scale and industrial meat processors in Germany by the FLEISCHWIRTSCHAFT and afz journals. "We are extremely proud to receive this accolade and we would like to thank you for your positive feedback and the trust you have placed in us." Karl Keller, Managing Director of Albert Handtmann Maschinenfabrik GmbH, receiving the FLEISCHWIRTSCHAFT and afz Best Image award.